All white is fresh, refined and luxurious -- three adjectives any fashion lover would strive for on a day to day basis. 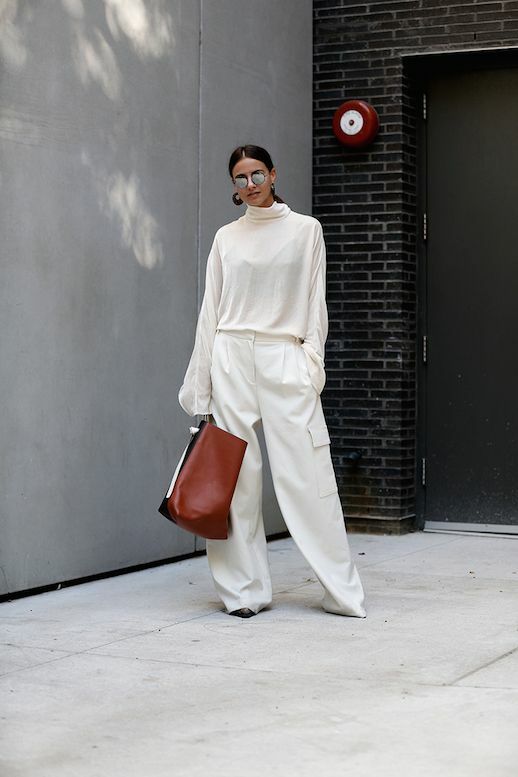 This blogger proved that in an oversized turtleneck and baggy (yet flattering) trousers. She topped off the look with round sunglasses and a massive, twisted handbag. Perfection.